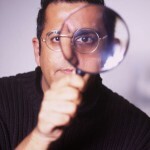 Simon Singh (author of ‘Trick or Treatment? Alternative Medicine on Trial’) and Andy Lewis (of http://www.quackometer.net) discuss the homeopathic overdose event organised by the 10.23 campaign (http://www.1023.org.uk), on 30th January 2010 in Red Lion Square, Holborn, London. Thanks to Dr Stephen Law of CFI London (http://www.cfilondon.org) for the footage.